Whenever anybody speaks about Samsung B2100, people speak about strength. The mobile handset is so strong that people consider it to be one of the strongest and toughest handsets ever made. Though the resolution of the screen is only about 128×160 pixels, the text can be quite clearly read and the handset is perfect to cover all the basic features of a cell phone. All the panels and buttons of the cell phone are water tight and nothing will happen to the cell phone if it is dropped from a height of one meter. You will enjoy using the cell phone if you are a lover of music. It can work well in Windows media Player and or MP3 and the tracks can be controlled by a navigation pad. There is also a headset supplied with the hand set and if you listen through that, the audio playback is quite clear and you can also listen to music in a very loud tone. You can listen to unlimited music as there is a FM radio attached to it. Since no RDS is attached to the cell phone, the names of the radio stations are not displayed on the screen. The cell phone also supports internet connectivity and one can remain connected with his friends and relatives even when he is on the move. Though web browsing is a bit slow on this mobile, but the user can send and receive emails and hence take care of his office duties even when he is on office tour. You can store the important emotional moments of your life by clicking the images in the camera which is attached with this handset. It is a 1.3 megapixels camera and the quality of the pictures taken is quite decent. Though there is no flash attached to the camera, but one can control the brightness of the picture with the help of a virtual iris. The mobile handset has also got some editing functions and you can edit the pictures with those features. You can also transfer the images taken to a PC with the help of a data cable. Though the keyboard is rubbery to use, the key travel is quite good and there are a lot of keyboard shortcuts to make the things operate faster. The users find it very convenient to use and can reach to the different menus quite faster and operate smoothly. The call quality is good enough for daily use. Samsung E1310Bis a dual band GSM mobile phone. This sleek and stylish handset comes in gray color. The 1.77 inches display screen can show high quality image resolution up to 120 x 160 pixels. It is extremely lightweight and weighs only 96.2 grams. This wonderful mobile phone has several attributes including downloadable polyphonic and MP3 ringtones. You can keep your handset in vibration mode instead of ringtones when it is required. 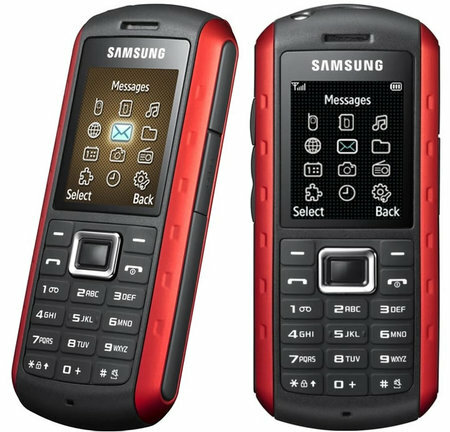 The phone book of Samsung E1310B is capable of storing up to 500 entries. It has 2MB internal memory, which is quite sufficient for a basic mobile phone. For spending the leisure time this phone offers the users various enjoyable applications. The user can play mobile games. The 65 K color display gives a bright and vivid graphics which gives you more fun filled experience. The voice memo technology in this device is very useful especially when you want to record any particular mobile conversation. Another important feature has been included in Samsung E1310B which is of great advantage. It has in-built mobile tracker which helps you to track the exact location where it has been taken with. If you have appointed any of your employees to reach a specific destination, you can track all over his route to see that he has arrived there safely. Sometimes your mobile may b lost. The advanced mobile tracking system facilitates you to find it as early as possible. Texting messages have become very easy for Samsung E1310B users. The latest T9 text technology has simplified writing text messages. Now you just press one letter and you will find the most relevant word for it. Hence you do not need to press the keys for several times to write a message. The phone can save up to 300 SMS. Some people keep forgetting about important events like attending someone’s wedding anniversary or going for a business seminar. The To-Do list ensures that it will remind the user about every important events and appointments just like a personal assistant. If you often go through embarrassment due to low battery of cell phone which frequently needs to be recharged, then this handset is ideal for you. It works for more than 250 hours that means almost 10 days and provides you 4 hours of continuous talk time. The battery is very powerful, as the mobile set uses standard Li – Ion batteries with capacity of 800 mAh. 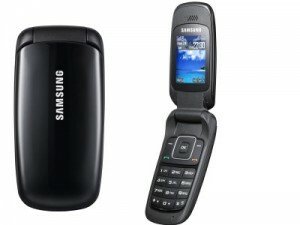 Samsung 3050 has brought in a new style in the market and the cell phone users have just gone mad about it. The stylish look of the handset is quite impressive and it can offer you prestige if you can carry it with style. 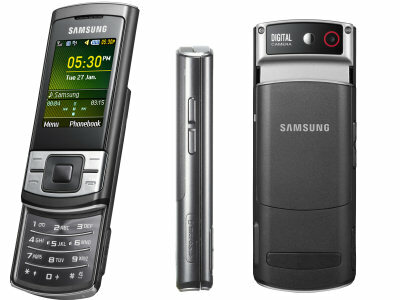 The Samsung C3050 has various features which has made the handset quite convenient to the users. The screen of the mobile phone has a TFT display with 65,536 colors and the dimensions of the phone are 97×47.3×14.9 mm. The text messages and other options are quite clearly visible as the resolution of the screen is of 640×480 pixels. With this resolution, you can clearly see the MMS and the images that are clicked with the camera which is attached to this cell phone. This cell phone will be of great use to any person who loves photography. There is a camera attached to the handset and it may help you to click the important moments of your life using this camera. You can store the images in the mobile handset and can share it with your friends and relatives after some time. The camera is of 0.3 megapixels and hence the images taken from a close shot will have a wonderful image. Due to the good resolution of the screen, you will enjoy watching these pictures on it as they will have a very good clarity. Another advantage of the camera is that you can record videos with the help of it. You can click a large number of images or long video hours in this mobile handset as the internal memory of the handset is quite large. The user can increase the internal memory of the handset by inserting a micro SD card and after that you can click unlimited number of images. A big advantage of the battery is that it is Li-ion one and can support long talk time of 8 hours and a standby of 340 hours. So, when you are going out for a long day trip to some place, you can carry this handset without any worry as the battery will never go low and make you feel that you are out of connection. The handset has got an USB port and it is able to support Bluetooth connectivity. Hence you will be able to communicate easily with this handset even when you are driving. It has also GPRS mapping facilities.